I have neglected the watercolors theme (all themes actually) for some time (more than half a year!). Nevertheless, I still and again feel inspired by the "water theme" and here is thus a new composition that is very different from the ones already shown in this gallery. Instead of having been created from close by the water's surface, this photograph was captured from a hiking path high above the lake - Lake Thun in the Bernese Alps. 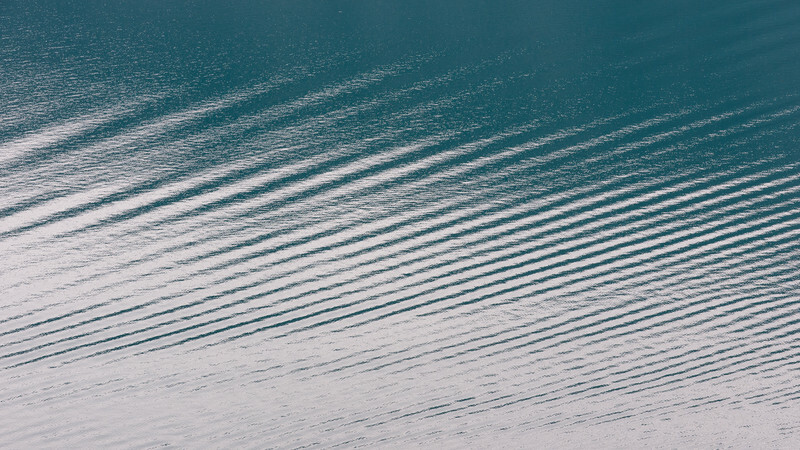 It is also not showing strangely shaped distortions, reflections and colors, but just the light and regular pattern of waves that were created by a passing by boat.